The General Overseer of Redeemed Christian Church of God, Pastor E.A Adeboye has reacted to talks on the internet which speaks against tithing. 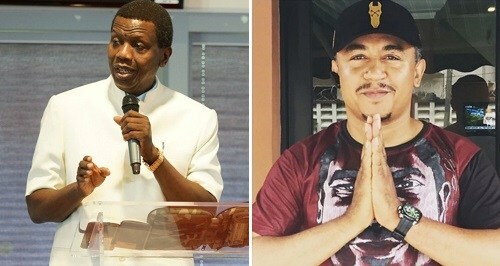 His words appeared to be directed at OAP Daddy Freeze who is fund of castigating Pastors and preaching against tithing. ”Showed me something on the internet about one fellow who said he was talking about tithe, that we shouldn’t pay tithe. At first, I didn’t want to listen but God said ”wait na, listen to what he has to say”. And the fellow continued to talk he said ”tithe is supposed to be used to buy alcohol so they can drink in church”. I said well, now we know who is talking. Even mad people don’t go to Church to drink alcohol. No, no, no. However, Daddy Freeze responded to the sermon by the Pastor about him.